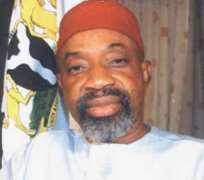 It has emerged that a pending case at the Court of Appeal, Enugu, may stall the governorship election in Anambra State slated for January or February 2010. A top Independent National Electoral Commis-sion (INEC) source told THISDAY that the subsisting case, filed by the governorship candidate of the Peoples Democratic Party (PDP) in the April 14, 2007 election, Chief Andy Uba, might cause a hiccup. INEC may opt for a wait-and-see attitude, he added. “We are quietly but carefully monitoring proceedings at the Appeal Court in Enugu. We don't want to do anything that would attract the wrath of the judiciary again as far as this matter is concerned so that no court will make INEC a scapegoat as was the case when judgment was delivered on the Peter Obi matter last time,” he explained. Uba was sworn in as governor of the state back in 2007. But the Supreme Court nullified the election that brought him to power, after two weeks. Justice J.S. Abiriyi-led Election Petitions Tribunal sitting in Awka had, following a consolidated petition brought by eight candidates of the political parties which contested the poll with Uba, ruled that the election should not have held since the tenure of Obi had not expired. The Supreme Court then ordered Uba to leave office. Obi returned to power after the ruling. His tenure expires on March 17, 2010. The Electoral Act, 2006, provides that the governorship election must hold not later than 30 days or earlier than 60 days to the date of the handover of power. Accordingly, the election should take place between January 17 and February 17, 2010. But Uba recently proceeded to the Court of Appeal in Enugu with a fresh application seeking to be recognized as the duly elected governor in 2007. In the suit, filed on his behalf by his team of lawyers led by Chief Ajibola Aribisala (SAN), Uba is seeking a motion barring INEC from conducting a fresh election pending the determination of the suit. He is also seeking a declaratory order on an earlier judgment by the same Court of Appeal in Enugu that he remains the duly elected governor of Anambra State. The embattled politician is further praying the court to direct that he take over from Obi on March 17, 2010, when the tenure of the incumbent governor will expire. In other words, his unfinished tenure should naturally begin from the day the tenure of the incumbent expires on March 17 next year. Meanwhile, the hearing of the case has been fixed for September 30. THISDAY checks reveal that INEC appears to be unprepared for the election even as no fewer than 50 aspirants from across the registered political parties have indicated interest in the post of governor. As a result, many people in the state have expressed concern that the voter's register is yet to be reviewed in the third quarter of the year. Others have questioned why there has been no meeting of representatives of the political parties and INEC to brainstorm on how to conduct a free and fair election. Furthermore, activities that precede elections such as voter education and enlightenment are yet to take-off. A senior official at the Awka office of the Commission, who spoke under condition of anonymity, told THISDAY that they were still expecting a word from the INEC office in Abuja. He, however, claimed that the commission was on course and would conduct the election as scheduled, adding that it has 150 days before the date of the election to make definite pronouncements. “We are still expecting orders from Abuja but all things being equal, the election would be conducted. It is constitutional,” he said.When reminded that the voter's registration had not been reviewed, he responded by asking a question. “How many days do these things take? The elections would be conducted on schedule in accordance with the Electoral Act 2006. And don't forget that the INEC has 150 days within which to make a pronouncement as to whether the elections would hold or not,” he said. The official also drew attention to the fact that “somebody is in court trying to stop the election”. Meanwhile, an Onitsha-based human rights group – International Society for Civil Liberties and the Rule of Law – has in a memo addressed to the Chairman of INEC, Prof. Maurice Iwu, called on the electoral body to conduct elections impartially. Under sections 2 and 10 of the Electoral Act, 2006, the group said INEC is enjoined to ensure the conduct of voter and civic education, updating and maintaining of register of voters so as to ensure the conduct of credible elections in Nigeria.